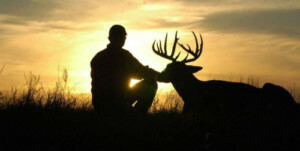 April 17, 2019 By: Lindsay Thomas Jr.
Pennsylvania firearms deer season changes - What Do You Think? For the first time in more than 50 years, Pennsylvania’s firearms deer season will open on a day other than the Monday after Thanksgiving. 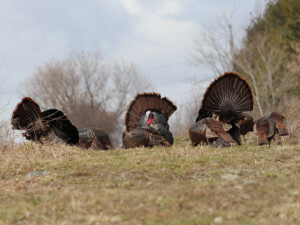 Read more about Pennsylvania firearms deer season changes - What Do You Think? As I read this today .. and remember the story of Jesus in the Garden of Gethsemane .. I am always reminded of my weakness and lack of prayer for all those in need .. Jesus' own humanity and love for us all becomes so evident .. as He reacts to His imminent ordeal - maybe today .. ask Him to help you relate to His message .. for myself, I beg forgiveness for all my weakness ..
One of the most interesting things about whitetails is the great variety in their appearance. Regional differences in size and anatomy, the seemingly limitless variations in antler characteristics and occasional abnormalities like vestigial ivory teeth have long fueled fascinating conversations around deer camp. Dreaming Leaning Trusting Acknowledgement - FRET NOT! I bring them safety and honour. and show them how I can save. Read more about Dreaming Leaning Trusting Acknowledgement - FRET NOT! If you're hunting whitetail deer this coming deer season .. you might want to check out all the laws and changes in your state wildlife regulations -- BigDaddy says: Don't be caught By Surprise -- you can view all the states Department of Wildlife [DOW] and the Department of Natural Resources [DNR] for any changes and additions to any regulations for Fishing Reports, Hunting & Fishing License requirements and costs, draw registrations, free and public hunting lands, Hunting Seasons and dates for deer, turkey, pheasant, quail, dove .. and other types of wildlife, Boating Registrations and Guidelines etc.